Law enforcement agencies in Pakistan arrested over 350 suspects, including Afghan and Uzbek nationals during the countrywide search operations on Saturday night and Sunday, The News International said. More than 350 suspects, constituting Afghan and Uzbek nationals, have been arrested and arms and drugs recovered from them during countrywide search operations against terrorists, the Army said. Law enforcement agencies claimed to have recovered arms from the restive North Waziristan and foiled a terror bid in Quetta, the provincial capital of troubled Balochistan. The agencies arrested over 350 suspects, including Afghan and Uzbek nationals during the countrywide search operations on Saturday night and Sunday, The News International said. They have also recovered arms and drugs from their possession. Army said a huge cache of arms was recovered from Shirani village of Dattakhel, North Waziristan. The law enforcers arrested more than 30 suspects and seized arms and drugs during a raid in Gulberg and other areas of Peshawar, while 75 persons were detained in Bannu. About a dozen Afghan nationals were among 20 peoplearrested in Karmpur and Jamal Ghouspur areas of Kashmore in Sindh province. Similarly, Rangers and other law enforcers arrested over 160 people, including Afghan nationals, from different parts of Karachi. In Bahawalpur, 22 suspects were arrested which also included Uzbeks and Afghans. 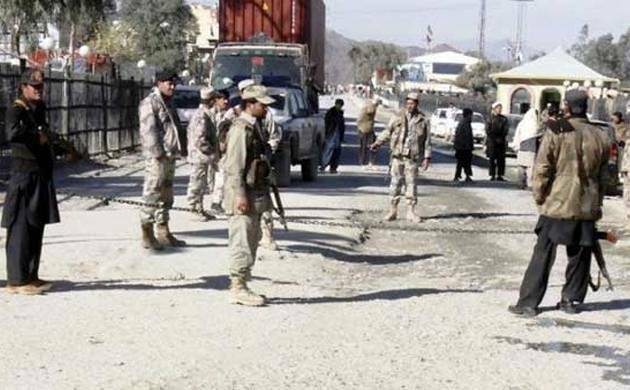 The police in Quetta claimed to have foiled a major terror bid by recovering a bomb planted on Arbab Karam Khan Road, which was defused by the bomb disposal squad.